Lean pork shares top billing with cancer-fighting garlic in this quick-to-prep entree. Mexican adobo sauce is usually made from ground chilies, vinegar, and herbs. This version follows that lead but, for the sake of convenience, calls on hot chili powder rather than ground chilies. 1. Trim fat from chops. Place chops in a plastic bag set in a shallow dish. For marinade, in a small bowl combine brown sugar, oil, orange juice, cilantro, vinegar, chili powder, cumin, oregano, salt, red pepper (if desired), cinnamon, and garlic. Pour over chops; seal bag. Marinate in the refrigerator for 2 to 24 hours, turning occasionally. 2. Drain chops, discarding marinade. For a charcoal grill, grill chops on the rack of an uncovered grill directly over medium coals for 12 to 15 minutes or until chops are done (160 degree), turning once halfway through grilling. For a gas grill, preheat grill. Reduce heat to medium. Place chops on grill rack over heat. Cover and grill as above. 14 Hands is crafted from premium grapes in the heart of The Columbia Valley of Washington, it is a special find. 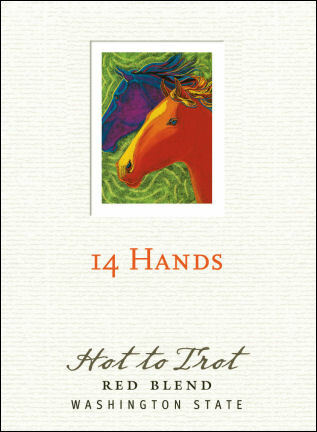 The winery is named after the wild horses that once made their home on the land upon which 14 Hands grapes are grown. These horses were small, measuring an average of “14 hands,” but they were some of the strongest and most tenacious horses in the world. The wine retains the individual spirit of its namesake. 14 Hands winemaker Keith Kenison has been making wines in Washington state for over 15 years. His interest in winemaking brought him to Washington, and in 1992 he joined the Ste. Michelle Wine Estates facility in Grandview as a cellar worker. There, he had the opportunity to learn and observe firsthand the art of winemaking. In 1997, Keith moved to Columbia Crest Winery, and was promoted first as a quality assurance technician, and then to an enologist. His talents were quickly recognized, and he was promoted to assistant winemaker in 2002. In addition to working on the Columbia Crest portfolio, Keith “took the reins” of 14 Hands starting with the 2002 Cabernet Sauvignon and Merlot — these wines were the first releases of the program. Keith is continually walking the vineyards and tasting fruit, he hand crafts soft reds and fresh, crisp whites that capture the essence of the Horse Heaven Hills. “I take a practical approach to winemaking and let the fruit express itself,” Keith says, “I guide it to its final destination with as few manipulations as possible, making every decision by taste because, ultimately, that’s what matters to the person buying a bottle”. I love making a style of wine that I enjoy and experience. 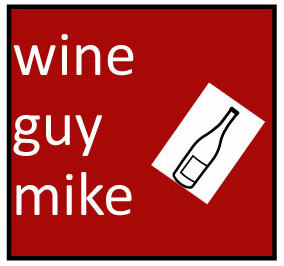 Enjoy this great recipe and wine pairing, I give this combo the WineGuyMike Seal of Approval.